Despite Arsenal fans generally hurling abuse at Arsene Wenger when his team aren't winning every game possible, I personally view him as one of the best managers in the world and I'll explain why. Wenger is Arsenal through and through and it's baffling to consider that some people still can't see that. Tactically speaking, I'm not sure that there is a better manager than Wenger and fans of Bet Victor should bear this in mind. The reason Arsenal do so well is because Wenger dictates to each player what they must and must not do in order for Arsenal to win each game. That might sound like something that every manager does but Wenger is meticulous with his instructions and it's because he knows that he's right. Consider all the players that have left Arsenal over the years that have gone on to achieve nothing. It's not a coincidence that it's been that - it's because Wenger guided those players into becoming useful parts of a team but without him they really falter. I mean, have Arsenal really had that many quality players over the past few years? In my opinion, the answer is a resounding "No". Would Denilson, Eboue, Fabianski etc. really get in any other Premier League team, for example? Of course not. Wenger signed them all for a reason, however, and if they do as he says then Arsenal succeed. Consider the lack of money that Wenger has to use and yet he still maintains his loyalty to Arsenal by saying that he's happy with his squad rather than admitting the truth about Arsenal still paying off their new stadium. Anyone looking at the www.betvictor.com odds needs to bear this in mind. To me, Arsene Wenger is a legend at Arsenal and anyone that says otherwise needs to look at Arsenal's situation with a bit more intelligence. The French manager is one of the best to grace the game and it's about time that he received the plaudits that he's deserved for a long, long time. Arsenal manager Arsene Wenger has admitted he is uncertain when he will be able to call on the services of the club's promising midfielder Jack Wilshere, who has not kicked a ball in a competitive game this season. The 20-year-old has been out of action all season with an ankle injury sustained in a pre-season friendly with MLS outfit New York Red Bulls. Wilshere was expected to make a return to the Gunners side back in February but a fresh fracture in his foot has meant the England playmaker has had to delay his return to action in the Premier League. Fans of Premier League predictions should bear this in mind. Arsenal are battling for a Champions League spot this season and could use Wilshere's ability to give them a boost as the season edges towards its conclusion, with qualification for the major tournament vital for the club's development. However Wenger has been unable to put a date on the youngsters return and is not willing to rush the midfielder from the sidelines if he is not ready for the rigours of the top flight. People who bet on Premier League weekend games should remember this. The French tactician told the club's official website: "It is difficult to set a deadline on Jack. We go week by week with him. But his last scan was very good so we don't have worry anymore. "It is about progress and fitness, however I can't set a date." The Gunners currently hold fourth spot in the Premier League table but face a challenge from London rivals for the final Champions League spot this term. Arsenal midfielder Mikel Arteta believes the reason for his side’s recent success is the team spirit they established when they were struggling in the early part of the season. Following, a defeat at struggling Blackburn and an 8-2 loss to rivals Manchester United, many predicted that the Gunners would struggle this season with some even doubting their ability to earn a European place. However, Arsene Wenger’s men have turned it around and now the form side in the league having moved up to third in the table. Arteta was one of six deadline day signings the North London club made following a quiet summer in the transfer market which some believe led to their slow start to the campaign. The 30-year-old has been one of the key components of their upturn in form, adding experience and composure to their talented but raw midfield and has also chipped in with a number of goals, including a stunning free-kick in Saturday’s win against Aston Villa. The Emirates Stadium side are now favourites in the betting to claim the final automatic Champions League spot and Arteta insists that neither he nor his teammates ever doubted they would fail to be successful his season. balance in confidence. We have it all together now. "Hopefully we can finish the season strongly because we have a group of players and staff who really mean business, he added". Young midfielder, Jack Wilshere, could be a surprise addition to the squad for the European Championship, which begins on June 8 in Poland and the Ukraine. "The next three weeks will decide what happens", said Arsenal boss, Arsene Wenger. Wilshere would, ordinarily, be a dead-cert for inclusion in the England side. However, a stress fracture to his ankle has kept the 20-year-old away from the football pitch for the entirety of the 2011/12 season. Fans of Euro 2012 betting will know it looks unlikely he will play a part in the run in. The Stevenage-born player is pencilled in for a return to action on April 28, when the Gunners play Stoke in one of the final games of the current league campaign. 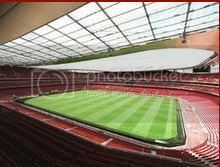 Arsenal will then play Norwich and West Brom. Wilshere will, therefore, have just three competitive games to stake his claim in the England side before the Gunners pack up for the summer. "We'll see how well he progresses", Wenger continued. The Frenchman warned that he would "intervene" if it became clear that playing in Eastern Europe, this summer, would hurt Wilshere further. "We've taken a very cautious approach with him. We'll not force him into training with any pain, so [his recovery] might have to be slower than expected." Euro 2012 is one of two major football tournaments being held this year, with the other competition, at the Olympic Games, beginning in late July. Wilshire could make an appearance at both events, pending his recovery from injury those looking at the football betting odds will be wondering if he is ok.
Wenger does not want Wilshere to play at London 2012, noting that the location of the contest on the football calendar would "destroy" the first few weeks of the 2012/13 season. "We would rather he went to the Euros than the Olympics." Jack Wilshere has five caps for England at senior level. He made his full debut against Denmark, last year. Arsenal continued their imperious form with a comfortable 3-0 victory over Aston Villa at Emirates Stadium – a win which saw them move three points clear of rivals Tottenham Hotspur. First-half goals from Kieran Gibbs and Theo Walcott sent Arsenal on their way to their seventh consecutive league victory before Mikel Arteta put gloss on the victory in stoppage time. Heading into last month's North London derby, the Gunners were ten points adrift of Spurs and licking their wounds after damaging defeats in the Champions League and FA Cup. A stunning 5-2 win sparked Arsenal's season into life and they have since taken a strong grip on third spot and those who bet with Bet Victor will know they're looking good. Arsenal manager Arsene Wenger was delighted with his side's display against Villa and backed them to secure a place in the Champions League. "We had a great first half. We knew we'd given a lot at Everton on Wednesday and the start was very important for us today," said Wenger. Gibbs set the tone for the afternoon when he ghosted in to score the opening goal of the game after 15 minutes. Arsenal pushed for a second and got their reward when Walcott latched onto Alex Song's lofted ball over the top to coolly finish past Shay Given. People keeping track of the online betting at Bet Victor will have known it was all but game over. Villa came into the contest in the second half but could not breach Arsenal's backline and Arteta piled on the misery with a brilliant free-kick in the dying seconds. It was a case of a magnificent seven for Arsenal but as the season heads into the final stages, Wenger and his side may well be thinking of what might have been. Arsenal boosted their chances of maintaining their place in the top-four of the Premier league table come the end of the season with a professional 3-0 victory against Aston Villa at the Emirates. Goals from Kieran Gibbs, Theo Walcott and Mikel Arteta helped the Gunners to a comfortable victory, against a Villa side that were never going to threaten – especially with flump-footed Emile Heskey in attack. While the club's form during the first half of the season had some believing Arsene Wenger had lost the plot, how the club are ending the campaign has proved the Frenchman is still very much capable of achieving things with this squad and the online betting reflects this. Following on from their gruelling victory against Everton in mid-week, this victory from Arsenal was even more impressive, despite some looking a little tired. Wenger was delighted with taking six points from the two games, including two clean sheets, admitting a place in the top-four would take care of itself if the team kept winning. "A draw was alright for us, but the most important thing for us was to win the game, to make a little distance. It's still open. It will be down to how we play now"
"Overall I'm pleased with what the players have done again this week. We were absolutely outstanding." 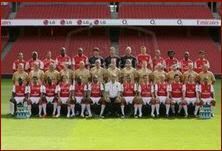 A late charge for the title may appear a little too much for the club to achieve in the season's closing stages, although, a strong end to the season would do a lot for Arsenal's confidence going into next year. Fans of Betfair need to remember this. Maintaining their place in the Champions League is also essential to the club if they are going to persuade Robin van Persie to commit himself to the club, rather than the seemingly inevitable move to Manchester City. It's difficult to find sufficient words in praise of Arsene Wenger and since his arrival at Arsenal 16 years ago the man has only Sir Alex Ferguson ahead of him in terms of being a managerial legend. Yet those who use Facebook as their barometer measure if public opinion will have learned over a difficult first three quarters of the season that he's "past his sell-by date...too frugal with the club's finances...yesterday's man" and a lot worse along the way. As is usually the case it's all an over statement and the reaction of fans disappointed by what they see as a season of under-achievement, all blissfully unaware that two thirds of the clubs in the Premiership would happily swap places with the Gunners and people who bet on football will know how good he is. Now , of course, it's all a very different story as the red side of north London looks set to reclaim its place in the top four and ensure another fine end of season topped with a Champions League place. The man who invented the catchphrase 'Trust Arsene' is now presumably about to take out a copyright. Wenger is above all things a highly intelligent man who understands the passions this game generates without ever being moved to outrageous displays of passion himself. He has uncovered some wonderful young English talent - witness Alex Oxlade-Chamberlain this season - and brought in some of the best from Europe for next to nothing. Fans betting football money will know just how impressive the side look. When the Arsenal fans were in full cry and baying for blood ahead of the clash which turned their season against Spurs it took opposite number Harry Redknapp to remind them of his achievements. He commented: "There's nothing wrong with Arsene Wenger is there? He's done a fantastic job. I can't believe what I'm hearing "
Wenger is a magnificent manager but the fans have a right to ask one question of him: "Why does he refuse to get after the board for more money in the transfer market preferring instead to join them in watching every penny." A manager's job is to squeeze every last £1 coin out of them possible to spend on his team - not to sound like a financial chief executive watching every bit of expenditure. If he can get that bit of the job right he may even win the title again. Arsene Wenger is experienced enough to know that there is little point in evaluating a club’s season prematurely. He has been saying Arsenal should be judged at the end of the season and when the day of reckoning comes he will be able to reflect on a job well done, as the Gunners will start next season in rude health. The six-year trophy drought endured by Arsenal is, for many, a canard. The more realistic Arsenal fans know a 16th consecutive qualification for the Champions League would be a fine achievement, as Arsenal have operated in a notorious financial straitjacket but fans of Victor Chandler will know they remain competitive. Compared to the days of the ‘Invincibles’ this is slim pickings, but in the climate of UEFA financial fair play Arsenal’s balance sheet prudence is not to be sniffed at. On the field Wenger believes he is building another dynasty and to emerge from a season of transition – that started with four defeats from seven matches – in the top four would be a decent stepping-stone. Since those dark early days the Gunners have lost just four times in 22 matches and are on a current winning streak of six matches. Four last minute goals have come in this sequence, confirming that the resilience that Wenger talks about so often is indeed present. Can Arsenal go a step further next season and challenge for the title? They are not far short. The developing squad will be better for their time together this campaign and the addition of Lukas Podolski will take the pressure of Robin van Persie, who must be maintained, as the club would not survive his loss in the manner they have since Cesc Fabregas departed. More determination in defending leads is needed, but the goalkeeping problem has been solved and the central defensive partnership of Thomas Vermaelen and Laurent Koscielny is promising and people looking for football betting tips should remember this. If Wenger does build another championship winning team it will be worth the wait and even if he must postpone his last laugh until then, the sight of his team entering the table’s top three for the first time will result in a wry smile. Arsenal manager Arsene Wenger has urged his players to remain calm in the Premier League run-in despite dramatically clawing back a ten point deficit on rivals Tottenham Hotspur. Four weeks ago the Gunners were outsiders in the football betting for a top four place and were facing the uncomfortable prospect of a 13 point gap between themselves and their near rivals when they went 2-0 down at home in the north London derby. But their second half fight back and their 5-2 win is part of a remarkable upturn in football scores, with s six game winning streak that has not only seen them chase down that lead but overtake Tottenham and into third place – the final automatic Champions League position. They are also six ahead of fifth placed Chelsea, meaning a top four place that seemed unlikely a few months ago is mostly definitely on. They had to show all their battling qualities at Goodison Park on Wednesday against David Moyes’ ever resolute Everton side. Thomas Vermaelen headed in Robin van Persie's corner after just eight minute to cap a fine start by the Gunners, but their failure to convert early pressure into more than one goal let the Toffees back into the game. They can rightly feel aggrieved that Royston Drenthe’s goal was chalked off for offside, despite being comfortably behind two Arsenal defenders. But, buoyed by that stroke of luck, Arsenal dug in and held Everton at arm’s length to secure a valuable three points. "We want to keep going and we must not think now that the most difficult thing is done," Wenger said after the game. "Probably the most difficult thing still remains to do, and to achieve it it is important we keep humility, focus and fight for each other - that is what we had to do here [against Everton]." Arsenal are closing in on rivals Tottenham Hotspur after coming from behind to take all three points for the fourth consecutive Premier League match. Newcastle United were the unfortunate side on this occasion, holding the lead for less than 60 seconds at Emirates Stadium after Hatem Ben Arfa's early strike. Arsenal talisman Robin van Persie hauled his side back into the game before Thomas Vermaelen struck deep into stoppage time to leave the Gunners just one point behind Spurs in third spot. The cruel defeat hurt Newcastle's faltering European bid and stretched their winless run to four league games. Anyone looking at the Bet Victor betting will be wondering if they can bounce back. Arsenal, on the other hand, have won their last five in the league and boss Arsene Wenger was quick to praise his side's never-say-die spirit. "What beat them was our relentless effort to win. I never thought we wouldn't win. I said to my assistant that we needed one more attack and we would score," Wenger said. The Gunners are no strangers to going behind so it was no real surprise when Ben Arfa found a yard of space in the area and finished inside Wojciech Szczesny's near post after 14 minutes. Arsenal went straight down the other end and Theo Walcott found Van Persie who took two touches before hammering the ball past Newcastle goalkeeper Tim Krul. Those looking at Victor Chandler will have been impressed. The visitors frustrated Arsenal thereafter and were on the brink of claiming a well-earned point before Vermaelen struck in a dramatic finale. Dutch compatriots Van Persie and Krul clashed as emotions boiled over. Newcastle boss Alan Pardew admitted the result was hard to take and hopes his players can bounce back from this latest disappointment. "It's really sickening for us. Great teams score late goals. Overall tonight I thought we deserved a point," Pardew said. Arsene Wenger has denied reports that he has completed the signing of Cologne’s Germany international Lukas Podolski and sees no reason why Robin van Persie should leave Arsenal. Podolski, who would move to the Emirates Stadium in the summer for £11million. Some immediately suggested that his arrival would replace top scorer betting favourite van Persie, who has just over a year left on his contract at the Emirates. However, Wenger was coy on the subject of the Poland-born forward, and would only say: "I have not a lot to say about that because if we sign a player we will inform you. At the moment we have not signed anybody. There is still no agreement. "The distance to the agreement is not always linked with the signing. When you are very close you are quickly very far again, but Podolski is a good player, I wouldn't deny that." Podolski has a superb goalscoring record at international level, finding the net 43 times for his country in 95 appearances. However, he is in his second spell with relegation-threatened Cologne after returning to the club just over three years ago after a disappointing spell with Bayern Munich. Manchester City after scoring 32 goals for Arsenal already this season, could opt to stay at the Emirates Stadium, despite the football betting suggesting the contrary. Wenger said of the 28-year-old Netherlands international striker: "Robin is the leader of our club and I would just like to specify that he is not at the end of his contract. "He is under contract until 2013. So you do your job, focus on your job which he does very well and enjoy your games." Arsenal have agreed a deal to sign Cologne and Germany striker Lukas Podolski at the end of the season, according to reports. Though personal terms have yet to be formally thrashed out, reports suggest a fee of £10.6million has been agreed with the German club. It is also reported that a contract worth £100,000 a week is being put forward to the 36-year-old, with the club keen to do a deal before this summer’s European Championships – where a good tournament could see his value soar. Gunners defender Per Mertesacker has played alongside Podolski in the German national team for eight years and revealed that he had recommended life at the Emirates to the Poland-born forward. "He has sent me a number of text messages and I have told him this is a great place to work and Arsenal are an amazing club." Big-spending Russian clubs Lokomotiv Moscow and Anzhi Makhachkala were also interested in signing the 26-year-old, who started his career at Cologne before a brief three-year spell at Bundesliga giants Bayern Munich. However, the lure of the Premier League appears to have won the striker over, who now looks set to become the first major signing of the summer. The question will now be immediately asked – is Podolski being signed to act as support for Robin van Persie or his replacement. Van Persie is heavily tipped in premier league betting markets to leave the club in the summer, given his contract has little over a year to run. The former Feyernoord man has hit 32 goals this season and is almost a one man market when it comes to punters looking to bet on the Premiership top scorer. With the club now certain to complete a seventh season without a major trophy van Persie– may well decide that he has a greater chance of winning trophies elsewhere. The signing of Podolski may well be the sign the Dutchman was hoping for to show the Gunners ot have ambition and the means to challenge at the very top. Or, it may mean that Arsene Wenger is preparing for van Persie’s departure by acting early, with the move softening the blow of any sale. Though whether that will wash with any supporters remains to be seen. Arsenal go into an improbable situation with renewed hope and confidence after encouraging Premier League performances. Arsenal’s season appeared to be over after losing 4-0 to AC Milan in the last 16 of the Champions League and exiting the FA Cup at the fifth round stage. However, the Gunners came from behind to stun rivals Spurs and backed that performance up by becoming the first side to beat Liverpool at Anfield this season. People looking at the Betfair Premier League will know the side have looked good. 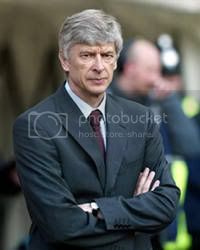 Arsenal manager Arsene Wenger is in defiant mood ahead of the second leg against Milan at the Emirates Stadium. "We want to have a real go. The best way is to ignore the first game and do what we did against Tottenham. We were 2-0 down and just kept going because we wanted to win," Wenger said. Wenger, who admitted his side were all-but out of the Champions League immediately after the dismal showing in Italy, believes Arsenal have enough firepower to trouble the Italian giants in the return leg. "We have to gamble a little bit and we have to go forward. We know that. If they can score four we can do it as well. Why not?" Wenger added. Milan coach Massimiliano Allegri has urged his players to put the first leg out of their minds and prepare for an Arsenal backlash. "We must be conscious that we are going to face a team with great qualities and a team which will try to change the course of the tie right from the beginning," Allegri said. "I also know the English teams will never surrender." History is against Arsenal. No team has overturned a four-goal deficit in Champions League history and those following the Champions League betting should bear this in mind. The first mission for Wenger and his side is to reclaim lost pride. From there, anything can happen. The fact it has never ever been done before shows how great a task lies before Arsenal on Tuesday evening, but that hasn’t stopped Arsene Wenger from remaining upbeat about his side’s chances of overcoming a 4-0 deficit against AC Milan and progressing through to the Champions League quarter-finals. The disaster in the San Siro last month drew stinging criticism from the supporters, though improved form in the league –including a 5-2 hammering of Spurs – has calmed the mood among the red and white hordes. That said the club will go into a seventh season without a trophy barring a miracle at the Emirates (the soccer betting has Arsenal at 25/1 to progress through to the next round) something that grates with all those associated with a side that grew used to winning during the glory years of Wenger’s reign. The Frenchman though, buoyed by another impressive league win, this time at Anfield last weekend, was trying to be positive when speaking to the press before the game. "We want to have a real go," he said. "The best way is to ignore the first game and do what we did against Tottenham. We were 2-0 down and just kept going because we wanted to win." "We have to gamble a little bit and we have to go forward," he said. "We know that. "The target is to find a good balance between attacking and defending because we have a double target - not to concede as well. "I know my players well. I know they've been hurt by the first result and I know they will have their pride and they'll come out tomorrow to give a different performance. "If they can score four we can do it as well. Why not?" They certainly have the armoury to inflict significant damage on the Milan backline, Robin van Persie alone has been a goalscoring machine this season. His match-winning brace at Anfield last weekend were his 30th and 31st goals of the season. If the likes of Theo Walcott and Alex Chamberlain offer pacy support, then I can see no reason why they Gunners can’t claw away at that lead. Sadly for the Londoners Milan have attacking flair of their own and the likes of former Man City striker or the ever-unpopular (on these shores at least) Zlatan Ibrahimovic. They are among the favourites in the champions league betting for good reason. While I can see Arsenal scoring, I cannot see them keeping a clean sheet at the other, meaning the wait to follow up that FA Cup victory in 2005 goes on for another year.